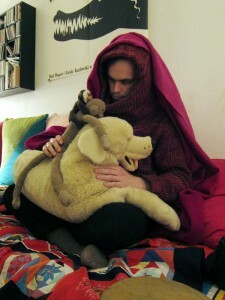 Peter Broderick » Blog Archive » denmark shows announced! i’ve been taking a little break from solo concerts for most of this year. but i’m very happy to announce a few concerts in denmark this autumn. i’ll be playing a short (20 minutes) set opening up for the orchestral efterklang piramida shows. word on the street is that i can use a small ensemble from the orchestra to accompany my solo set. i’m thinking two french horns, one trombone, and one vibraphone. sounds great to me! This entry was posted on Monday, June 18th, 2012 at 4:32 pm	and is filed under News. You can follow any responses to this entry through the RSS 2.0 feed. You can leave a response, or trackback from your own site. efterklang! i love them. i’ve been also loving your album, it starts hear. fantastic to hear that you’ll be opening for them. hope you come to california some day.. So great to hear! Will you also be playing a set opening in Belgium?! Because I would love to see you solo =)! Sounds great! Love your music, hope you can make it to Serbia one day. the shows in belgium/netherlands aren’t quite confirmed yet. i hope it works out! Oh wow, will you open for Efterklang in London?!!! I absolutely love your album… so inspiring! That’s a shame regarding UK gigs, but I’m still super excited to see Efterklang! Hope you’ll play some gigs in the UK soon!